Injuries can be debilitating for many people, especially if you’re over the age of 40. When they occur while you’re playing a sport, it’s easy to think that you might not even be able to play that sport again or return to regular exercise in the near future. However, most injuries aren’t permanent, and even if you have to alter your workout routine, exercise will be possible again. Around Christmas, I hurt my knees running. I do not know what caused it exactly but it kept me from running for a long time. It was very painful and I would work hard in the future to prevent further injury. Still, many people don’t know to return to exercise after an injury, particularly a traumatic one. While it varies from case to case, there are some tips to help you get back to athletic training in NYC even after you’ve been hurt. 1. Start slow. It might sound obvious that you should rush back into strenuous exercise right after you’ve just recovered from an injury, but believe it not, many people do exactly that. This is especially problematic for athletes who simply don’t know how to go at half-speed and avoid making their injury worse. 2. Start by walking. 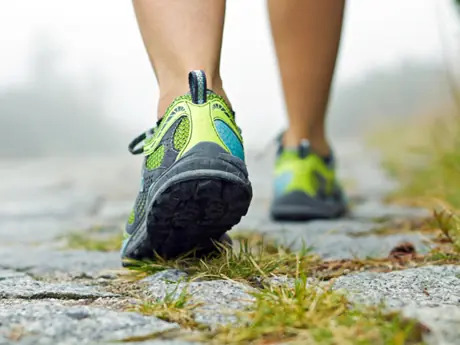 If you take your workout seriously, chances are you feel like taking a walk isn’t really any form of exercise at all (although, it is great exercise!). It’s something you do to get from point A to point B. While that’s true, walking is something you must do after any sort of leg, back or spine injury. Even shoulder injuries because of their connection to the spine should be subjected to walking for a short period of time before more strenuous exercises are introduced again. 3. Take up swimming. Water-based exercises like swimming are ideal for people who have had issues with joints, knees or any other inflammation issue because swimming doesn’t put any pressure on your body the way running does. Swimming is also an excellent full-body workout that can keep you in shape while you’re fully recovering from an injury. My brother used swimming to recover from running injuries. 4. Talk with your doctor about specific exercises you can do to strengthen the injured part of your body. In some cases, exercise may not be good for a muscle, tendon or bone injury, so speaking with your doctor first is always a good idea. You’ll also want to ask and see how much time you can spend doing your new exercises before you’re simply putting too much stress on an injured part. 5. Exercise other parts of your body supporting an injured muscle, joint or area. Building strength around the area that was injured can help decrease the chance of re-injuring yourself down the road. This is so important to help prevent future injury! Disclosure: This is a sponsored post. As always, any opinions are my own.